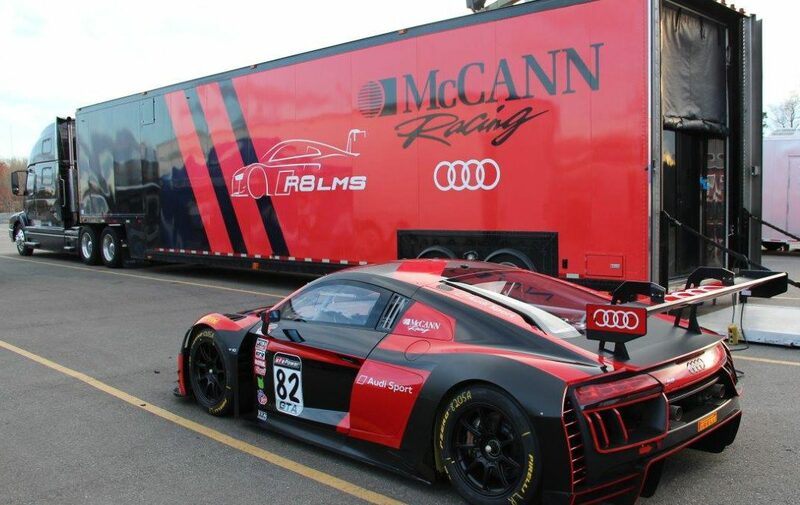 NORTH CANTON, OHIO (March 28, 2017)—McCann Racing is happy to announce a return to Pirelli World Challenge racing at the Virginia International Raceway SprintX round with drivers Michael McCann and Mike Skeen driving an all-new Audi R8 LMS. McCann Racing has over 30 years of motorsports experience, having campaigned factory-supported efforts for Dodge and Cadillac in Pirelli World Challenge. As a professional automotive shop, they service all brands of cars and specialize in Dodge Viper track preparation.